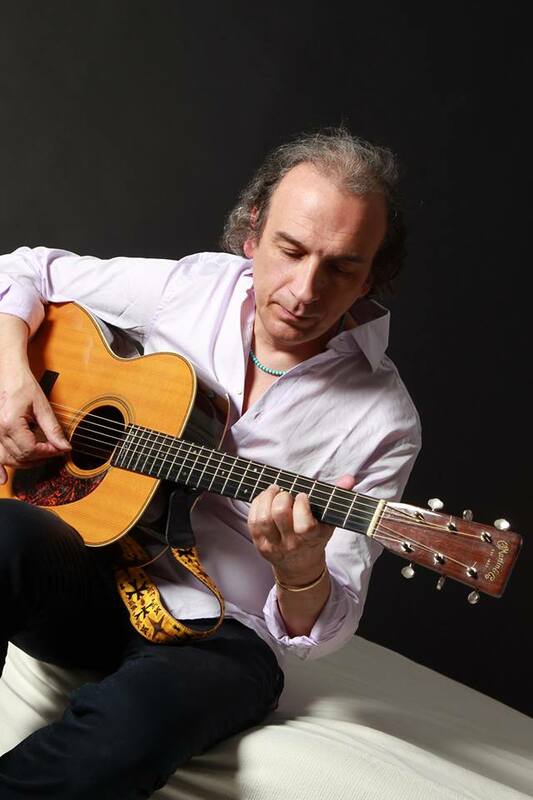 Luigi Milanese is a guitarist, composer, and performer from Genoa, Italy. He studied guitar and music composition at the “Antonio Vivaldi” State Conservatory of Music in Alessandria, Italy and is teaching guitar in the state school of music in Santa Margherita Ligure – Portofino, Genoa. Luigi has written music for theater, published original compositions for guitar and transcriptions from the Baroque Lute. In the past he played with some of the most representative groups of Italian music (Satie Trio / Big Fat Mama Blues Band / Ensemble “Janua Coeli”), holding concerts in Italy, France, Austria and Germany, and sharing the stage with international artists such as: Max Roach (Jazz – USA), Pino Daniele (Pop – Italy), America (Country Rock – USA), Steve Lacy (Jazz – USA) and Los Lobos (Rock – USA). His interests and his musical experiences range from Classical to Rock and from Acoustic to Jazz, Prog, and World Music. In the spring of 2013 he recorded the second album with Italian rock band Blue Dawn ( “Cycle of Pain” – Black Widow Records ) and also the acoustic album “Equinox” which experiments with the concept that music from extremely different genres ( Classical, Rock, Folk, Jazz ) can coexist together in the same musical universe linked by an invisible “red thread” that transcends the boundaries and unites them in eternal unity. April 2016 Luigi Milanese with his most important work to date is 2nd solo album Closer to Heaven.